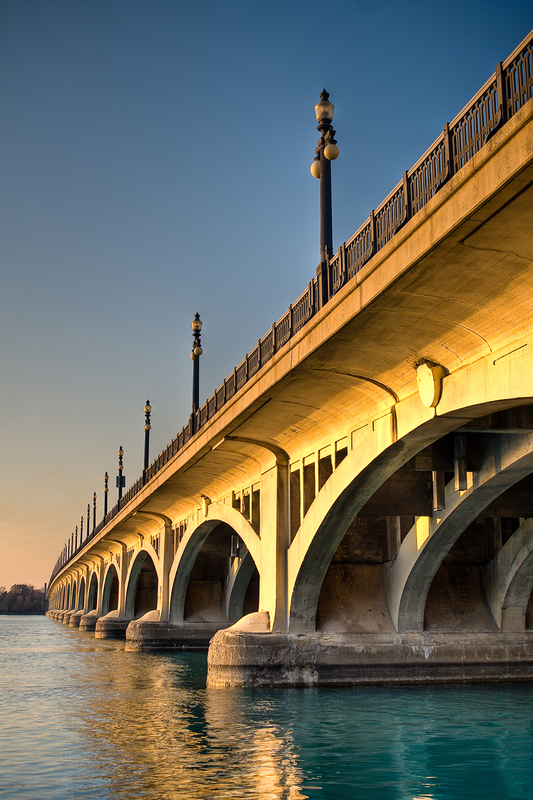 Belle Isle has been a family favorite picnic and beach destination in Detroit since the mid 1800’s. Over the last hundred years Detroiters have witnessed the rise and fall of this Detroit gem but today, thanks to the Belle Isle Conservatory working with the city and state government, the 985 acre park has become an official State Park. The new partnership has allowed for the much needed renovations to buildings and grounds which have restored the island back to its original glory and more. If it’s been a while since you’ve been to the island, it might be time for a second look. The island attractions, some of which had closed down, are now reopened and are more impressive than ever. The Dossin Great Lakes Museum is dedicated to preserving the roll Detroit played in the regional and national maritime history. The 16,000 square foot museum is managed by the Detroit Historical Society and the exhibits portray how the Detroit River has influenced our industrial history. This museum is open year-round from 11am to 5pm and admission is free. The Belle Isle Nature Zoo (BINZ) offers exceptional opportunities for educational trips for schools where kids and adults alike get an up-close and personal experience with the wildlife of Michigan. The attraction includes a bird observatory, an actual working beehive and The Deer Encounter which allows you to feed the deer and learn about their natural habitat. BINZ is committed to educating students and the community about environmental issues such as how to preserve nature so both plant and animal life can thrive. The zoo is open year round, Wednesday through Sunday from 10am to 5pm and admission is free. The Belle Isle Aquarium has always been a highlight of any visit to Belle Isle. It was designed by the famous architect, Albert Kahn and originally opened in 1904. The first thing people notice when they arrive at the aquarium is the impressive Beaux Art style entrance with its stone façade and the emblem of Detroit bordered by two spitting fish. The aquarium features both fresh and salt water varieties with water brought in from the ocean. At the time the aquarium closed in 2005, it was the oldest continuously operating aquarium in the world. The recent renovations have allowed it to reopen and it is now home to over 1,000 fish of 118 species. The aquarium is open Saturdays and Sundays only, from 10am to 4pm and admission is free. The island is also home to a 9 acre 30 bay golf range, putting greens, two chipping greens and four sand traps, plenty of sports fields for football, soccer, softball and rugby, a giant slide, a swimming beach and multiple concession stands. Bikes and beach chairs are available to rent and you can even hire a carriage tour of the island. No trip to the island is complete without a visit to the iconic Scott Memorial Fountain that operates from June through September. Though all exhibits are free of charge, a Recreational Passport is required since the island became a State Park. For details, visit www.michigan.gov/recreationpassport. If you’re considering a day at Belle Isle, Metro Motor Coach will get you safely to your destination with well-trained drivers who know what they’re doing and are as concerned about your group’s safety as you are. Metro Motor Coach has vehicles to meet every need, destination or group size. Vehicles are equipped with climate control, HD TV’s, DVD players, surround sound, or charter buses equipped with on-board restrooms and beverage service stations. Why not get your friends, family or other social or church group together and let Metro Motor Coach help you plan the perfect trip. Plan your trip to Belle Isle today! Call 1.888.375.9666.